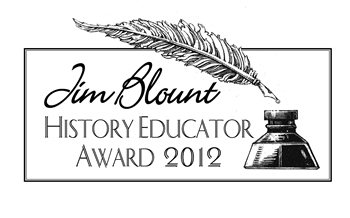 The Michael J. Colligan History Project will conclude its spring events Wednesday, May 9 at 7:30 p.m. by recognizing recipients of the 2012 Jim Blount History Educator Award in a public ceremony at the Harry T. Wilks Conference Center. This year’s recipients will be Lance Allan Green, Freedom Elementary School; Corbin Moore, Hamilton City Schools; and Holly Templeton, Fairfield Intermediate School. Following the presentations, Miami Distinguished Professor of History Andrew Cayton will give the Blount Award Lecture on How the Civil War Remade the United States. He will explore ways that war shaped a modern nation state and a new relationship between liberty and power. The Heritage Hall exhibit The Butler Boys: Butler County in the Civil War, 1861-1865 will be available for viewing in the Atrium. A public reception will follow.